The mineralogy collection at the Melbourne Museum inspired Australian designer Leah Heiss' Facett hearing aid, which aims to shift talk "from disability to desirability". The hearing aid, designed for company Blamey Saunders Hears, has a shape similar to a jewel and comes in faintly glittering shades of silver, rose gold, black and white. The appearance is distinctive among hearing aids. "Facett seeks to shift the stigma of hearing loss, to move these devices from disability to desirability," Heiss told Dezeen. "All too often products in the category of 'therapeutic technologies' are medical-looking, created in skin tones — or 'disabled beige' as I refer to it." She looked to the minerals in the Melbourne Museum to inspire a different direction for Facett. The device's colour, surface texture and form comes from this research. "These are wearable health technologies that become part of our self-identity, sitting alongside a favourite brooch from our grandmother or a memento from childhood, to be slung onto a bedside table with jewellery and keys rather than stored discreetly in the medical cabinet," said Heiss. 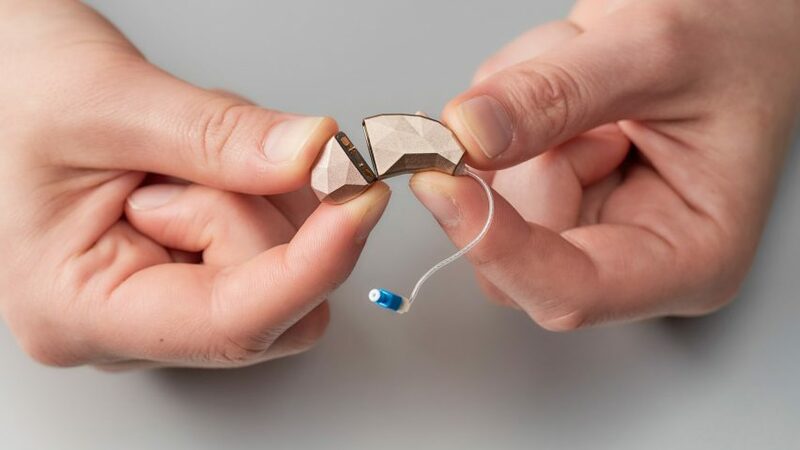 The Facett hearing aid, which won Australia's Good Design Award earlier this year, is also distinguished by its two-part construction, which means a battery "module" in the base can be easily recharged, replaced or upgraded while keeping the "core" in use. In what Blamey Saunders Hears says is a "world first", it will release optional features like wireless charging in future modules, allowing users to access updated technology without replacing the whole device. 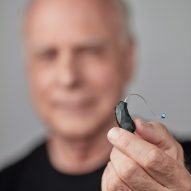 "Facett enables people to build their own hearing experience," said the company's co-founder and technical director Peter Blamey. ​"This is about helping people get over the line to take up a technology that could dramatically improve their health and wellbeing — to get them past that emotional barrier through great design." The battery came in for particular attention from Heiss and Blamey Saunders Hears in the design process. They wanted it to be easy to handle and replace, in contrast to the tiny batteries that can pose problems for people with limited dexterity. Facett's battery remains encased in the plastic module that forms the base of the hearing aid and attaches to the upper half with magnets. To recharge it, users slip the module into a groove in the storage pod, which doubles as a charging station. Each Facett hearing aid comes with two pairs of rechargeable modules, so the user can always leave one set in the charger. The device is suitable for people with mild to moderately severe hearing loss, and users can order theirs by taking an online speech perception test. They adjust settings using the accompanying IHearYou app. Heiss is a Melbourne-based designer who specialises in wearable technology. Her previous work includes Diabetes Jewellery developed with Nanotechnology Victoria and the Smart Heart necklace cardiac monitor. Her earlier work for Blamey Saunders Hears also won a Good Design Award. Another recent design for people with hearing problems is Liron Gino's Vibeat, a headphone replacement for experiencing music through vibration on the body.